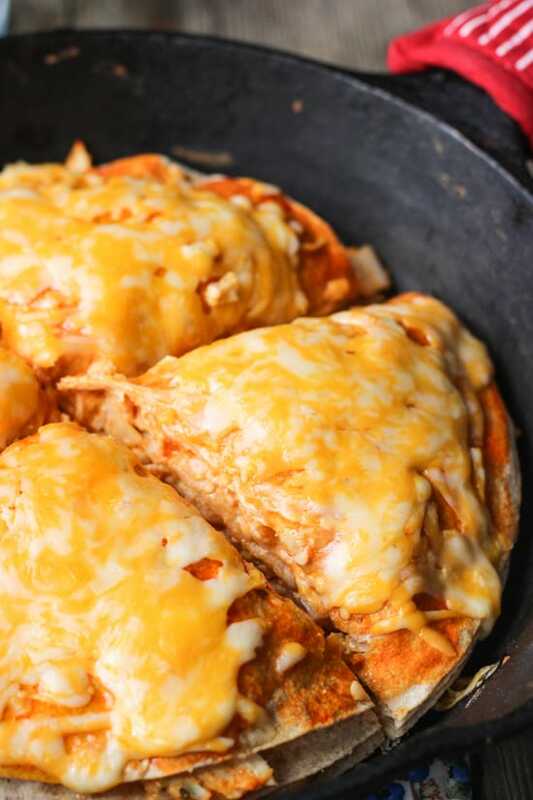 This buffalo chicken tortilla pie is one of my favorite weeknight meals. 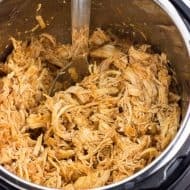 Shredded chicken is mixed with a creamy buffalo sauce and layered with cheese between tortillas. 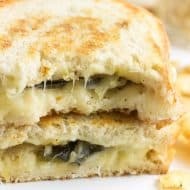 Bake until the cheese melts and it’s done! Great to use with rotisserie or leftover chicken. It’s (almost) summer – yes! Even though the weather in San Diego has felt like summer since the actual winter, that vacation-y, beachy, school’s-out vibe is in the air and I couldn’t be happier. Never mind that I haven’t been in school for awhile; I still have residual June excitement. Summer means that some of my daily cups of coffee are iced, my nail polish is neon enough to act as night running reflectors, and chips and salsa becomes its own food group in my diet. Speaking of new food groups in my diet – buffalo chicken. All the buffalo chicken. It may not be the quintessential summer food like popsicles and guac, but it’s stolen my heart big time this year. 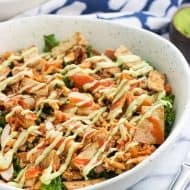 There have been buffalo chicken wraps, omelets, salads, grilled cheeses, even buffalo chicken straight from the bowl before it got a chance to make it into a recipe. It’s so simple to whip up, and its blend of creamy/spicy just may be addictive. I haven’t gone long enough without to test that theory. Of all the buffalo chicken I’ve consumed lately, this buffalo chicken tortilla pie just may be my favorite. Of course you can cook up chicken breasts at home, but one trick I use when I’m pressed for time is to pick up a rotisserie chicken from the supermarket. All I do is discard most of the skin, use a serving fork to pull off shreds of cooked chicken, mix it up with hot sauce and spices and voilà. 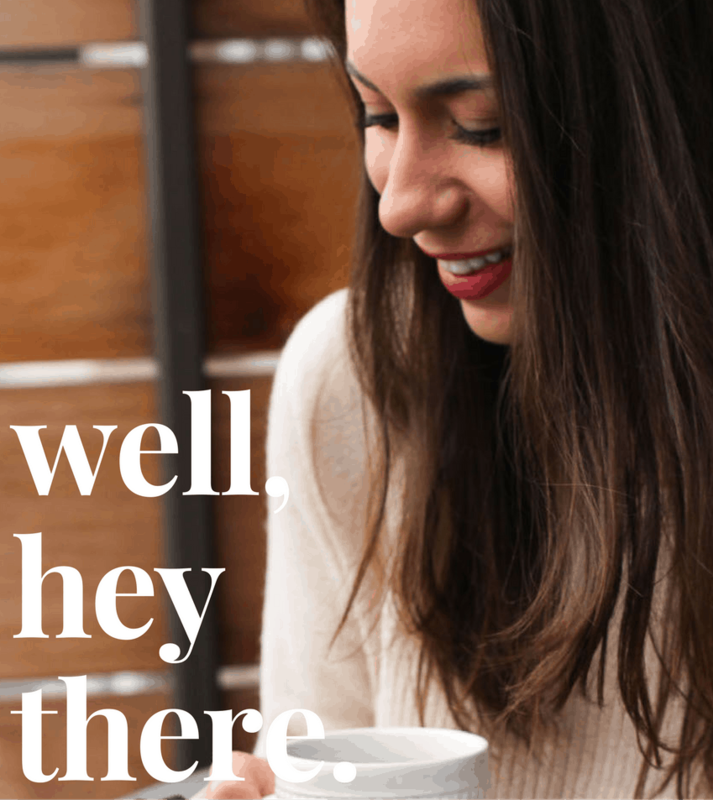 Before you know it you’re sitting in front of a big bowl of buffalo chicken. Try to control yourself. 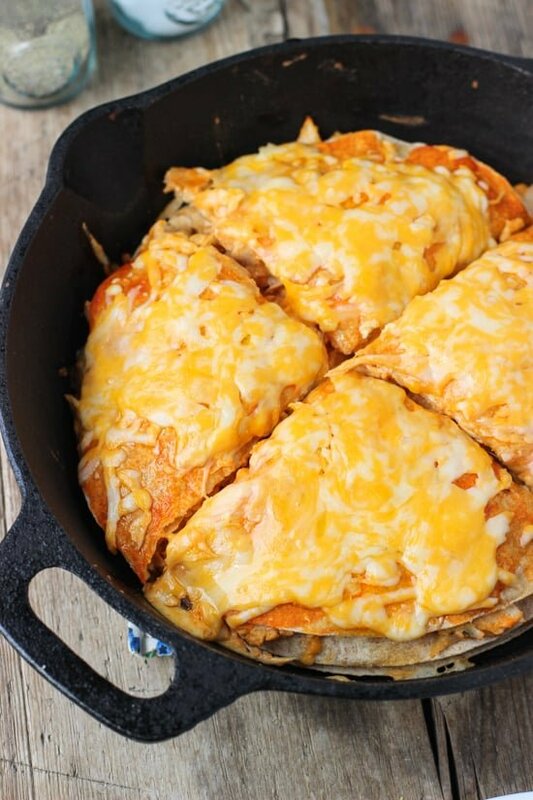 This buffalo chicken tortilla pie yields about four servings, and uses four tortillas. In keeping things health-minded, I used 100% whole wheat tortillas (and light sour cream, and 2% cheddar). 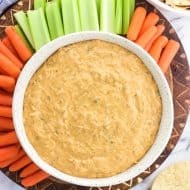 With the layers of spicy buffalo sauce mixed with creamy sour cream and melty cheese, you won’t taste whole wheat or the lightened-up nature of the dairy ingredients at all. My audience definitely didn’t. Sneaking in fiber, whole grains, and less fat? I’m a fan, but feel free to use whatever version of of tortilla/sour cream/cheese you prefer or have on hand. 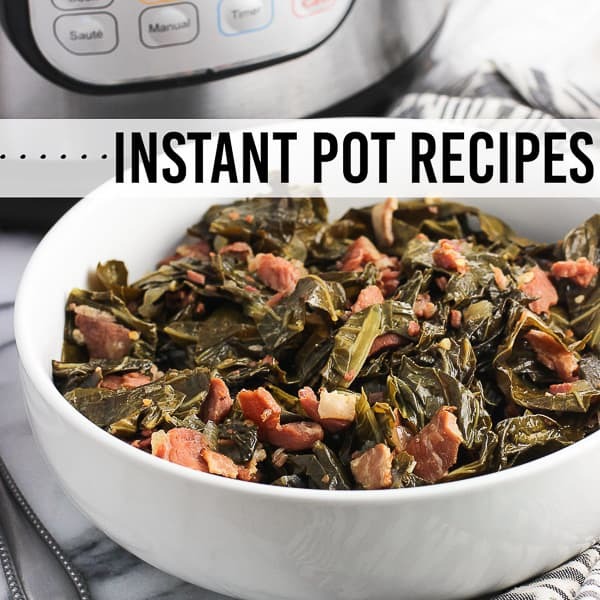 What I love about this recipe is that it’s incredible versatile. 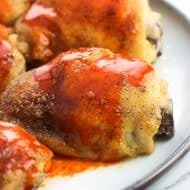 The amount of hot sauce the recipe uses as written below lends a mild to low-medium zing, making it enjoyable for the masses. Does your family love to bring on the heat? Feel free to add a little extra glug-glug of the Frank’s. We were a mixed group – my mom and I enjoy zing on the lower half of the spectrum, B likes a little more, and my dad would have poured the entire bottle into the recipe if he were at the helm. Just adjust as you see fit. So let’s recap. Super easy chicken – either store-bought or home-cooked, mixed with your preferred dairy ingredients, quantity of sauce and spices, that’s on your table in a half hour or less? I’ve heard of people choosing a song for any given summer, but I think I’ve found my dinner of summer 2014…even if it’s still technically spring. Preheat oven to 350°F. Grease an 8"x8" oven-safe dish with cooking spray and set aside. In a bowl, combine chicken, 1/4 cup + 1 tbsp of the Frank's Red Hot Wings sauce, 1/4 cup sour cream, basil, 3/4 cup cheddar cheese, onion, and garlic. Stir to combine all ingredients well. Press one tortilla onto the bottom of the greased 8"x8" dish. Spread one-third of the chicken mixture evenly over the tortilla. Repeat the process: another tortilla, another third of the chicken, another tortilla, remaining third of the chicken, and end with a tortilla. Over top of the last tortilla, pour remaining 1 tbsp of Frank's Red Hot Wings sauce and sprinkle 1/2 cup cheese. Bake for 18-20 minutes, or until cheese is melted and tortilla pie is heated well throughout. If cheese is browning before the pie is fully heated, cover dish with aluminum foil and continue baking. Before slicing and serving, top pie with a dollop of the remaining 1/4 cup sour cream and scallions. You may also add an additional drizzle of hot sauce if you'd like to spice it up even further! All that flavor in one pie is sinful! And I want it all! This looks so delicious! 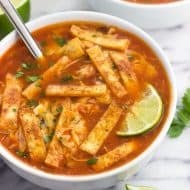 I tend to crave spicier things in the winter because I feel like eating spicy food makes me hot (am I nuts? LOL). Luckily its not too warm here yet, looking forward to trying this for supper some night soon. I’ve never made anything like this before (European, you know – we don’t know much about these kinds of things!) I would LOVE to, though, and as everyone else keeps saying I know my hubby would be a big fan. Let’s face it, you can’t really go wrong with cheesy, tomatoey, spicy things (in my opinion at least). I don’t think you can go wrong with a rotisserie chicken, either. Just so easy! I keep hearing about the wonderful weather in San Diego, which is making me think we should move there (oh no, Helen, don’t get any more complicated than you already are). Have a great weekend, Alyssa! I so agree with you, Helen! Cheesy, tomatoey, spicy are three of my favorite dinner adjectives. And when they’re all combined with an impossibly easy rotisserie chicken – too good! And haha! Nothing like throwing a third continent into the mix. It’s true though – the weather in San Diego is very hard to beat. It’s worth a visit some time in the future at any rate! I’m so glad that summer is finally here, too! And this buffalo chicken dish looks amazing! I love that it’s fairly simple to prepare, too. What a great dish to make for the summer! This looks fantastic! 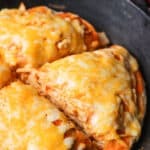 I always forget how much I love buffalo chicken until I see recipes like this. I definitely need to try this, especially since it comes together so quickly. Can’t wait to try it! Thanks Jamie! It’s a quick one but super tasty, too! I think I would love this. I love anything that is southwestern or Mexican inspired. Yes to everything in this pie, good grief the creaminess has got me hooked already! Buffalo chicken = winner, winner…well, you know the rest. I love recipes like this. My husband would love this one! 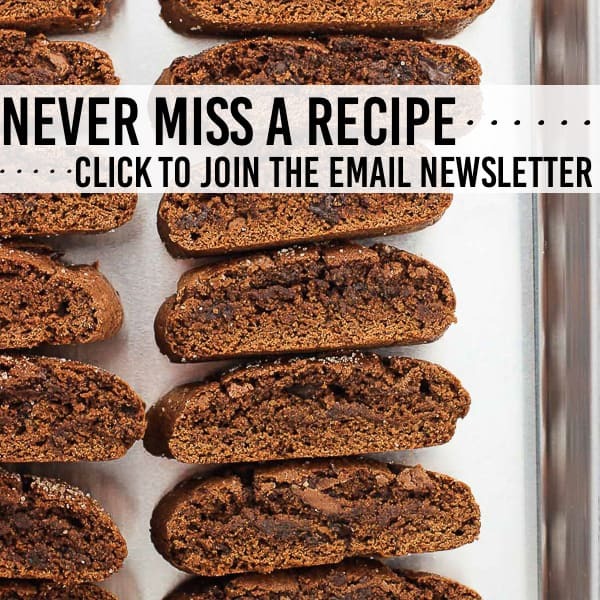 What a fabulous recipe! We all need dinner recipes that come together quickly and quell the end of day hunger with flavors that please our family. A very satisfying recipe! Mmmmm mmmmm mmmmm finger-licken’ good. Girl, can you hear me wanting this from here??? Looks SSSOOO good. And this –>”my nail polish is neon enough to act as night running reflectors” makes me LOL. We could be summertime sistahs! I love bright nail polish!!! My husband would LOVE this buffalo tortilla pie! He is obsessed with all things buffalo flavored. Don’t you just love store bought rotisserie chickens? Can make weeknight dinners come together in a snap. Buffalo flavored anything is a big hit around here, too! And those rotisserie chickens are such a life saver. They’re the first thing I think of when I’m driving home from work and realize I don’t really have anything prepared. 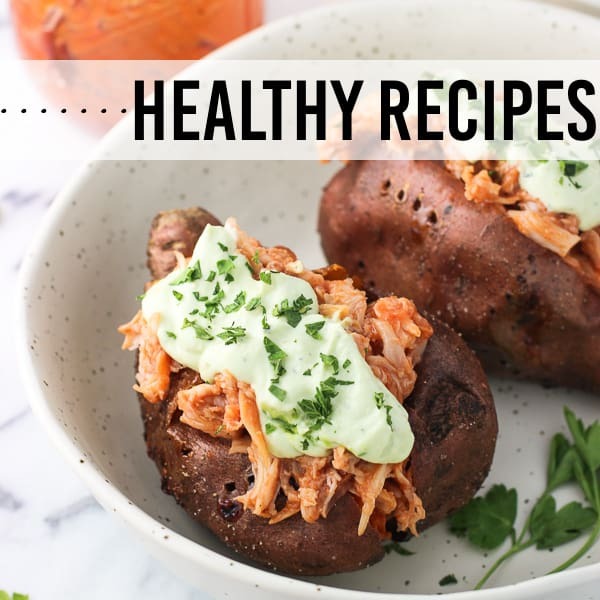 Easy breezy and delicious! Perfect.